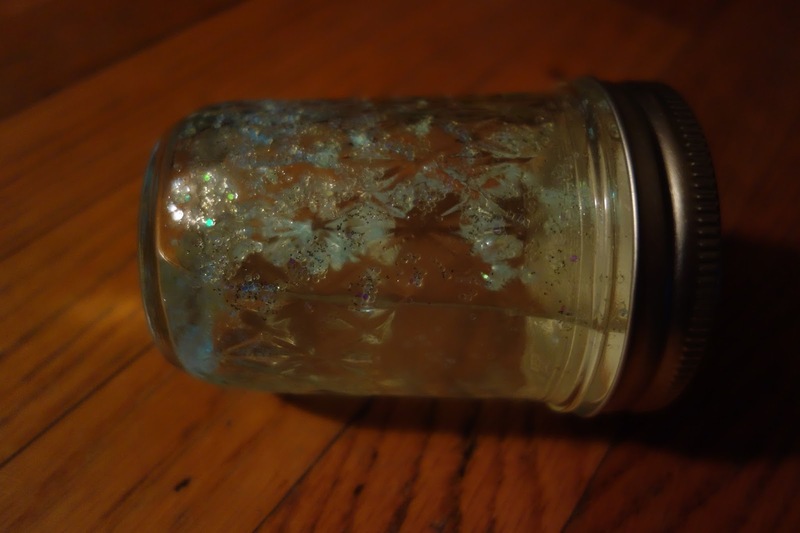 My neighbor sent me an email with a "magical" project: Fairies in a Jar! 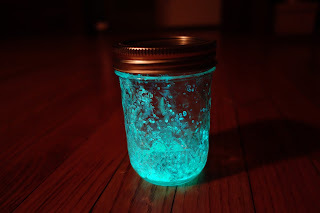 The photo, despite being clearly PhotoShopped, leads you to believe that you can create sheer magic in your own home, just by cutting up a glow stick and shaking it into a jar with glitter. So I do. 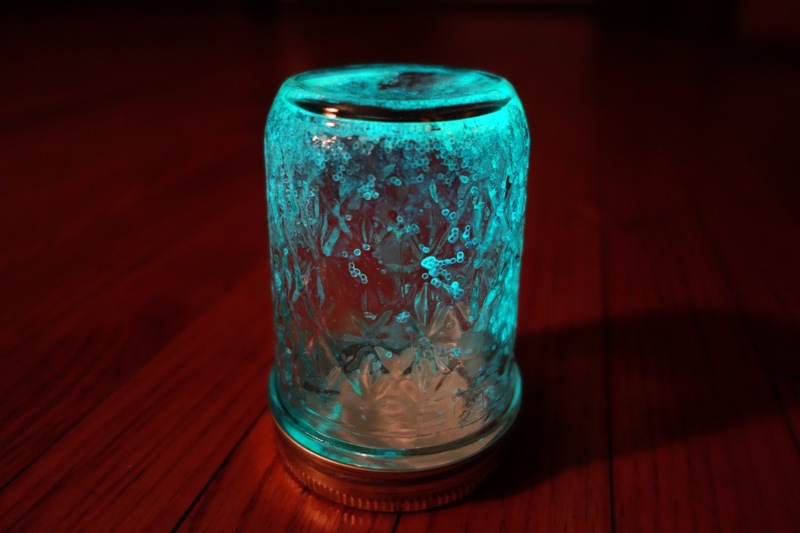 Did you know that glow sticks have little glass tubes inside? That's what makes the clicky sound when you break them. So I cut the glow stick, then had to figure out what to do with this thin glass tube of liquid. I ended up breaking it up with some pliers and leaving the pieces inside. 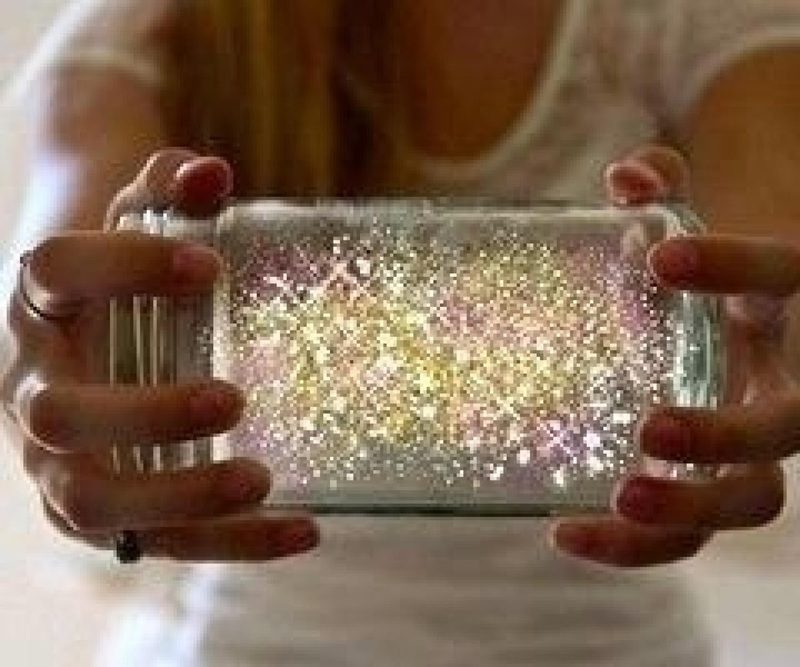 And I dumped in some glitter, two kinds. ...be-glop? The jar glowed....but there was no sparkling effect. You couldn't see the glitter. Techman walked into the kitchen and was momentarily impressed because he thought I had made a DIY glowstick with household chemicals. Hey, I have super powers. I shook the jar around. I looked at it in the dark. Techman said, "You know what that is?" Maybe it needs water, like a snow globe? Bad idea. It killed the glow, and all the glow goo globbed together (say that 10 times fast) and floated on top. It went dark within a couple of minutes. So, if you want to make a jarful of creamed fairies, give it a shot. Might be great in a friendly haunted house at Halloween! Thanks for visiting me (and saying hello) at my blog (we bloom here.) 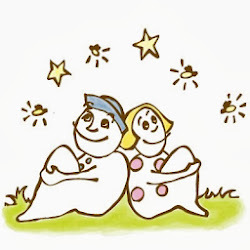 This "fairy fail" blog post made me laugh. It makes me think of the blogs I only just discovered yesterday -- "Craft Fail" and "Pinterest Fail."